The white kitchen associated with the immediate impression of a clean, sterile room from which to prepare food continues to provide a classic fallback. White is not actually a color, though it reflects the colors with which it appears. The monochromatic kitchen is being challenged by the rich, bold colors of the Native American landscape with its vibrant sunset palette. The range of colors runs from blue and yellow to scarlet and pink with dusty shades in between offering an alternative to the simplicity of primary colors. Mixing up the texture between glossy and matte finishes also provides interest while delivering an energetic shift in unexpected ways. Even if you are hesitant to go all out and commit the entire kitchen to color, focus on an accent wall or other decorative elements while keeping the kitchen cabinets white. That way, it is easy to change should the mood shift. 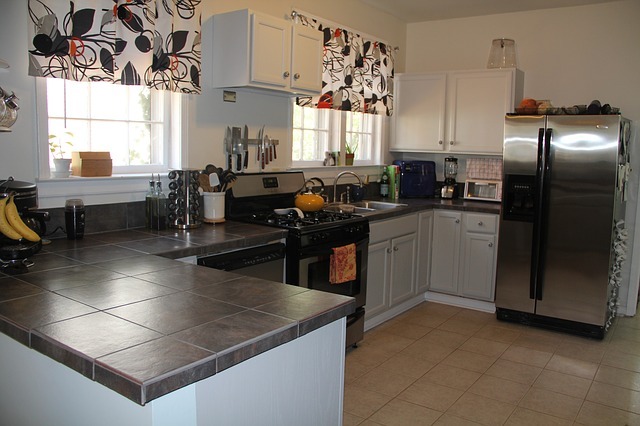 The clean lines of the Shaker design are a favorite for kitchen cabinets. Their simple yet functional aesthetic quality make them the perfect choice for placement in both modern and contemporary themes while the traditional style from which they originated is as popular as ever. They are immediately recognizable with their trademark rail frames and flat-paneled doors made from high-quality wood. 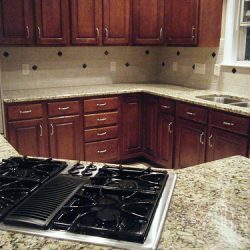 They may be left in their natural wood finish, stained or painted to complement appliances, counter tops, wall tile or back-splashes. Just about any choice of hardware completes a look that can’t be beat. While the Shaker-style kitchen cabinets commonly find tapered legs and bead board accents complementary features, expect to see them now favored as decorative elements in fixtures and wood paneling as well. 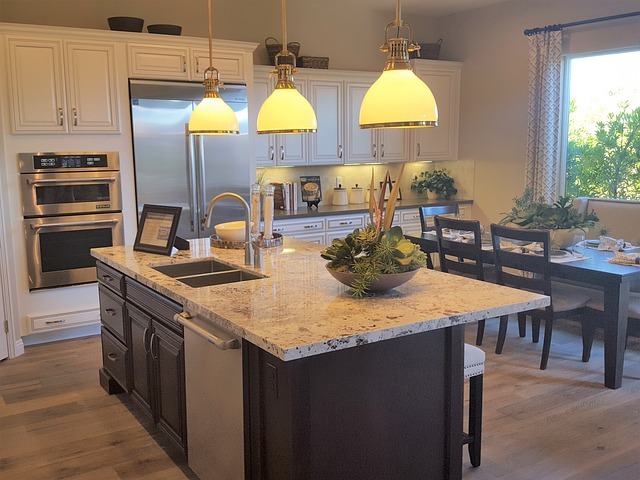 Incorporating kitchen cabinets and a working counter top as a beautiful piece of furniture that serves as an island turns a work station into a focal point. In fact, there is a growing trend in fashioning the working kitchen as a warm and welcoming space. The unique subtlety to sleek wall units and mirrored back-splashes is a new approach to understatement. 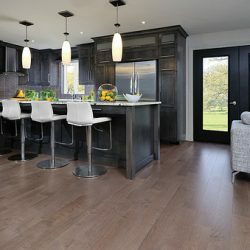 Polish off the living space with natural stone flooring for ease of upkeep and the kitchen is transformed into one of the most popular rooms in the home. Architectural treatments offer stunning design features. In many applications, the decorative finish carpentry installed on the bulkhead mirror an island below. Special lighting is easily adapted to these features enhancing a workspace adapted to accommodate seating as a space to work, socialize and entertain. Other treatment such as a paneled ceiling repeated in cabinetry below add an interesting tie in. 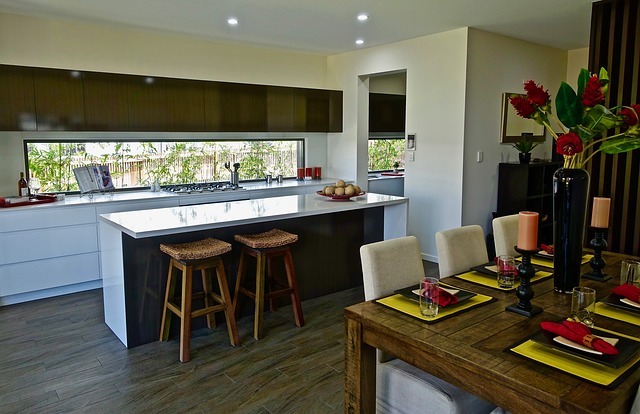 These are but a few of the fascinating trends influencing kitchen design in 2015. If your Brooklyn base is in need of a facelift, our Queens Showroom is stocked and ready to show all of our top-quality porcelain tiles whether you are looking for new flooring, wall tile or backsplashes.